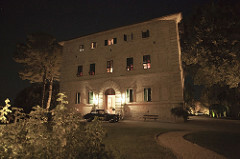 The Borgo Seghetti Panichi is a stunning private boutique hotel near Ascoli Piceno, on the hills of the Marche region. 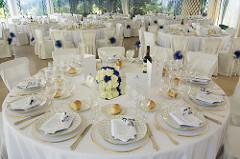 With a unique view of the mountains and the Adriatic Sea, the location offers a selection of different spaces which brings variety and liveliness to the entire wedding celebration. 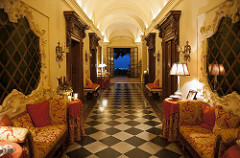 The historical dwelling is a large architectural building constructed using pink clay, with sixteenth-century arcades and sumptuous galleries spanning all 3 floors. 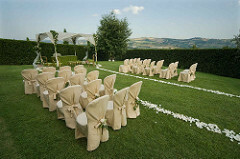 On offer are various elegant spaces for the reception, and 12 suites for the guests. 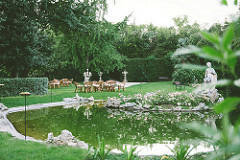 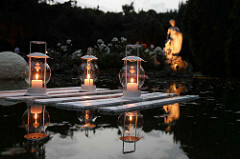 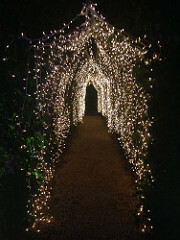 The dwelling is surrounded by a romantic garden with a little pond, and a large pavilion near the swimming pool, which can accommodate up to 240 guests. 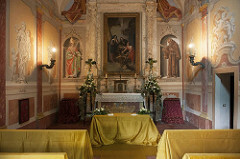 The Borgo Seghetti Panichi also has an oratory, built between 1580 and 1620 and decorated with eighteenth century frescos. 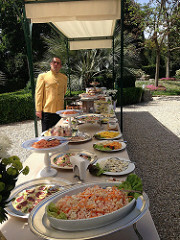 The Chef Davide Camaioni always presents a mix of traditional and regional dishes, along with more innovative and personal creations. 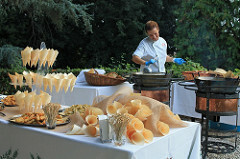 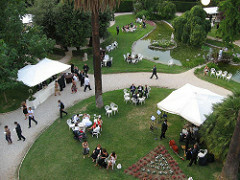 The organisers often recommend to enjoy the aperitif and starters in the garden next to the pond, and to have lunch in the big pavilion which offers protection from the heat or bad weather. 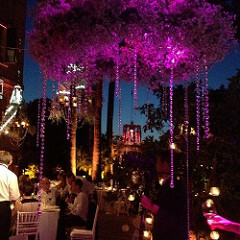 And dining outdoors under the big oak tree whilst enjoying the starry night sky is a truly magical end to the day. 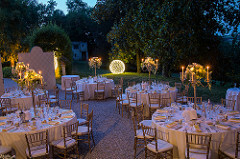 Thanks to the diverse and different spaces available, the couple and their guests can experience distinct changes of scenery – as in a theatre play – which will astonish and entertain all who attend an event at Borgo Seghetti Panichi. 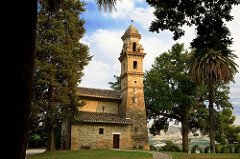 For anybody who is not familiar with the region I suggest flying with low cost airlines to Airport Raffaele Sanzio of Ancona-Falconara or the International Airport of Abruzzo “Pasquale Liberi”. 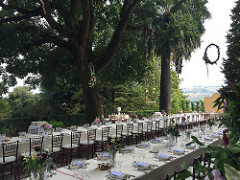 Alternatively should you prefer flying with other companies you can land in Rome and drive two and half hours to the destination, or to Marconi Airport in Bologna, three hours by car.